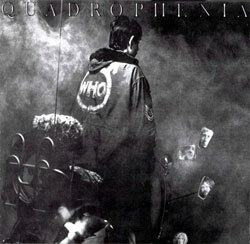 Well, we’ve had the album, the film, the book, the live show – and now we have Quadrophenia – the theatrical production. The place to see it is Cardiff’s Sherman Theatre, produced by the Royal Welsh College of Music & Drama and the first production to get the backing of Pete Townshend. "Jimmy’s journey through his troubled world of home, growing up, self-doubt, rejection, pill-fuelled escapism and seaside hedonism is explored through compelling physical and visual storytelling, combined with some of the best narrative rock music ever written. A powerful, roller coaster of a production, appealing to rebels and adolescents of all ages!" It runs from 9th February – 17th February 2007, with tickets priced at £10 and £12. I find the dramatic arts quite scary. This is horrifying. Could actually be worse than the abba or queen musicals. I’ve heard good things about this production of quadrophenia. Apparently they are staying true to the original album rather than the film. On the afternoon of the 9th February they are having a preview show (dress rehearsal), and wanting to get a bit of publicity they have reserved 40 tickets for Mods / Scooterists prepared to turn up on period scooters and arranged for the local media to be there. I will post some feedback here about the play after I’ve attended this preview. Anyone thinking of travelling down to Cardiff for this, might I suggest Saturday 17th February as there is a “FABULOUS” mod/soul club night on in Cardiff that night.